40% Rayon Derived from Bamboo, 60% Microfiber Imported LUXURY & COMFORT - Slip into comfort! 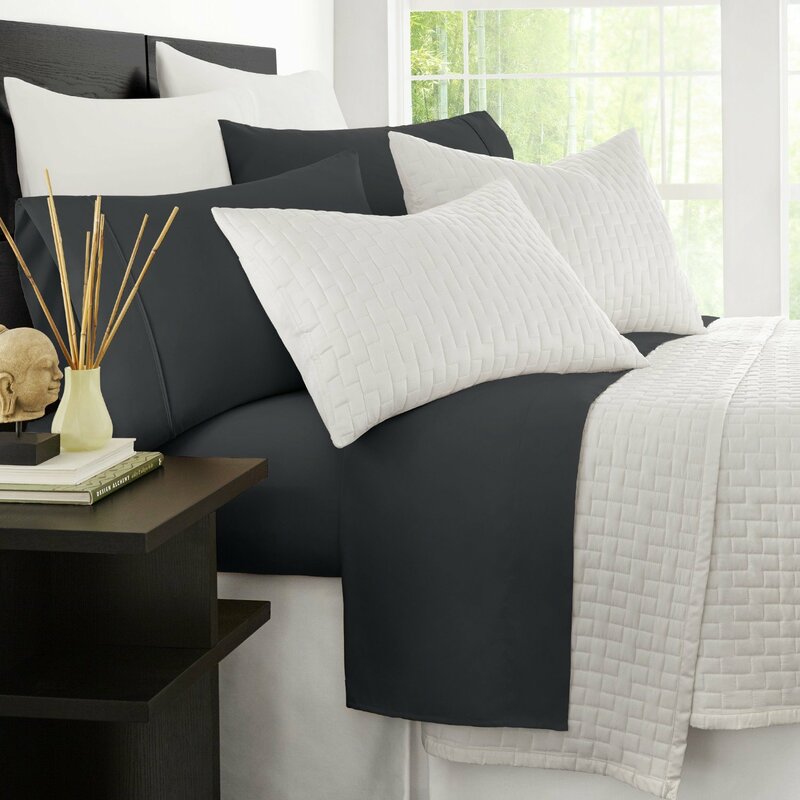 The Zen Bamboo 4-Piece Sheet Set is exactly what you need for a comfortable and relaxing night's sleep. Our sheet set is luxurious, stylish, and the softest sheets you'll ever own. And with an array of colors to choose from, there's something for everyone! HIGH QUALITY BRUSHED BAMBOO & MICROFIBER BLEND - Our sheets are crafted in the highest quality material, so you know they'll stand the test of time! Designed with excellence in mind, they're 40% Rayon derived from Bamboo and 60% brushed microfiber, making them incredibly plush and more durable than standard cotton sheets. HYPOALLERGENIC & STAIN RESISTANT - Our sheets are hypoallergenic, stain resistant, fade resistant, and wrinkle resistant. Say goodbye to dust mites, wrinkles, and tedious tasks like ironing, and hello to cozy, soft, and comfortable bedding! EASY CARE & MACHINE WASHABLE - Our sheets are machine washable and easy to care for. Plus, they stay fresh, cool, and dust mite free between washes! What more could you ask for? SATISFACTION GUARANTEED - We are so confident in the quality of our product that we offer a 30-day satisfaction guarantee. If you are unsatisfied, simply contact us to return the product for a full refund.